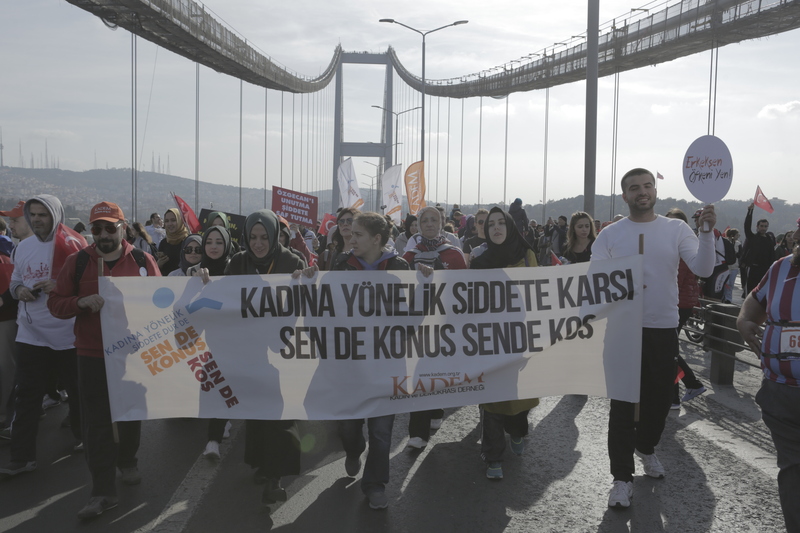 KADEM, the social responsibility partner of 37th Vodafone Istanbul Marathon , took place in the marathon to say “Stop Violence against Women” with its participants on all sides of Turkey. 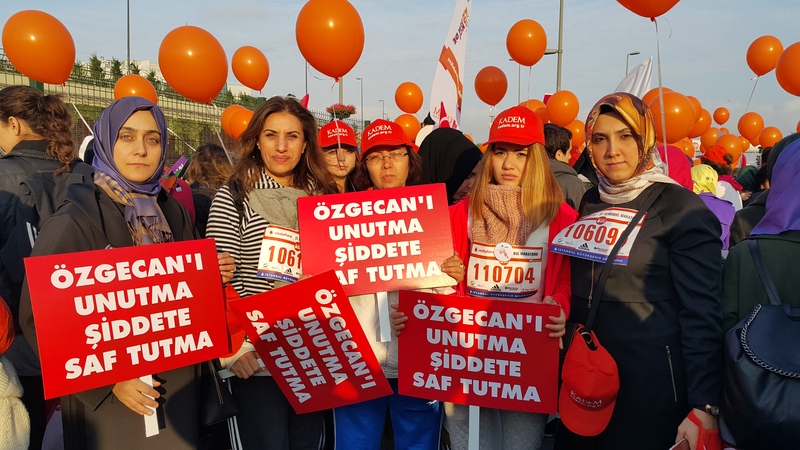 The campaign “You Talk, too and Run, too” which has been launched before the marathon with the theme “Say Stop Violence against Women” has drawn great interest at also marathon day on November 15. 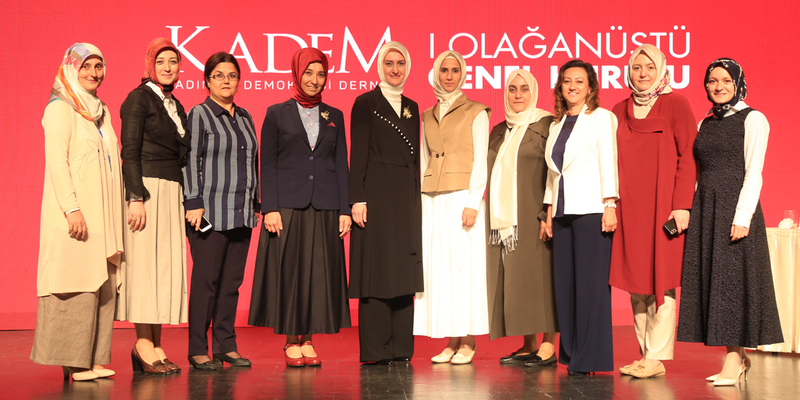 Özgecan Aslan’s family has ranked first at the cortege. 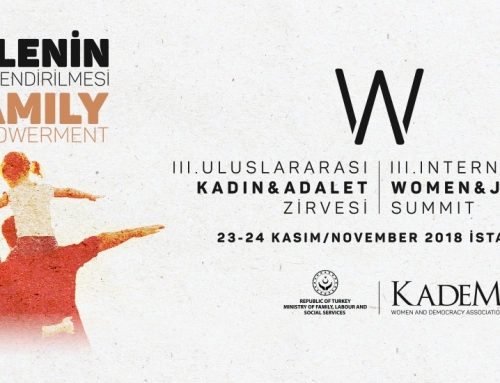 Vodafone Istanbul Marathon the 37th which has been organized by Istanbul Metropolitan Municipality and Sport Inc. has started on November 15, 2015 at 09.30 p.m. 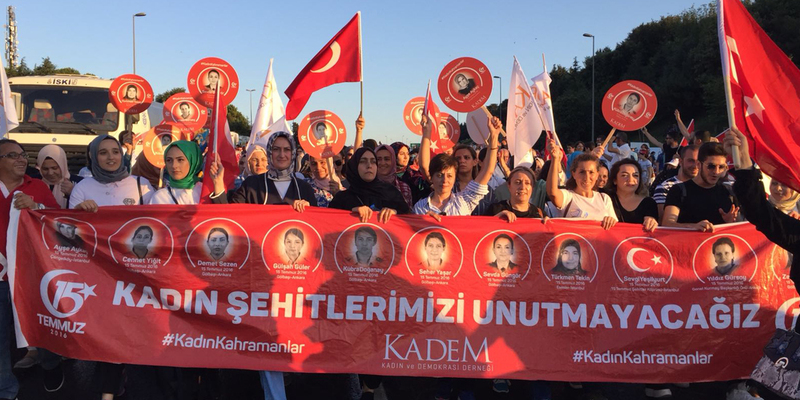 The marathon has been started by Minister of Youth and Sports Akif Çağatay Kılıç and Istanbul Metropolitan Municipality Mayor Kadir Topbaş. 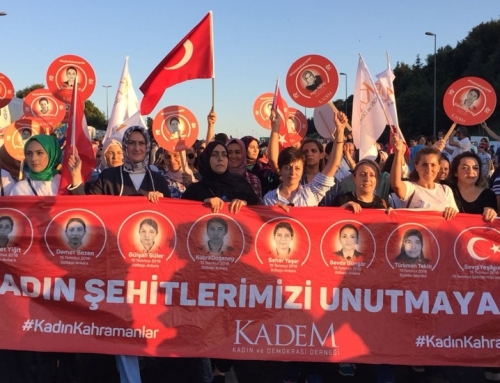 Cortege of KADEM has walked with placards and slogans with the theme “Say Stop Violence against Women”. 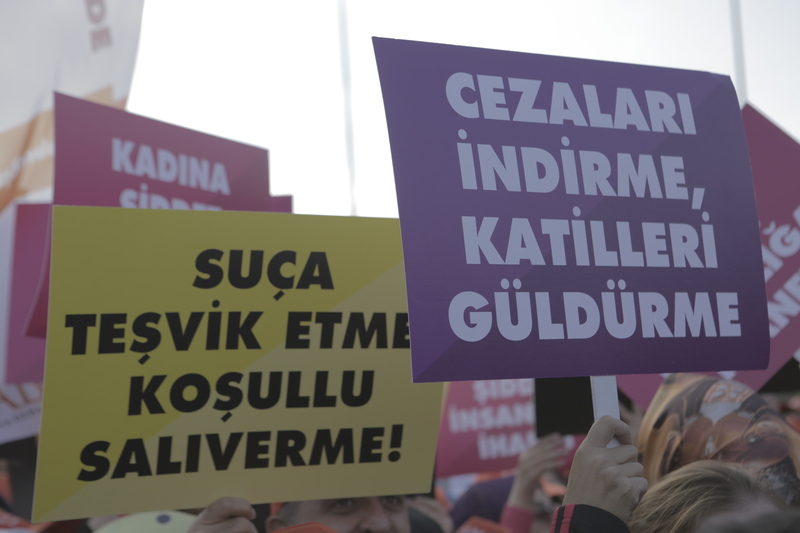 The placards and slogans with the themes “If you are a man, overcome your anger”, “Be a Man First”, “We Want Özgecan Law”, “End Unjust Provocation Reduction” have drawn great attention and been supported by all the participants. 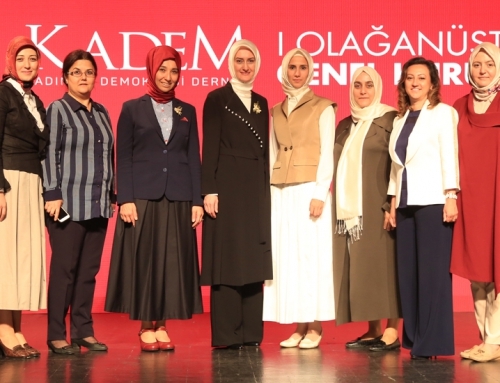 The participants has supported the campaign “You Talk, too and Run, too” with the theme “Say Stop Violence against Women” and share videos and photos on social media. 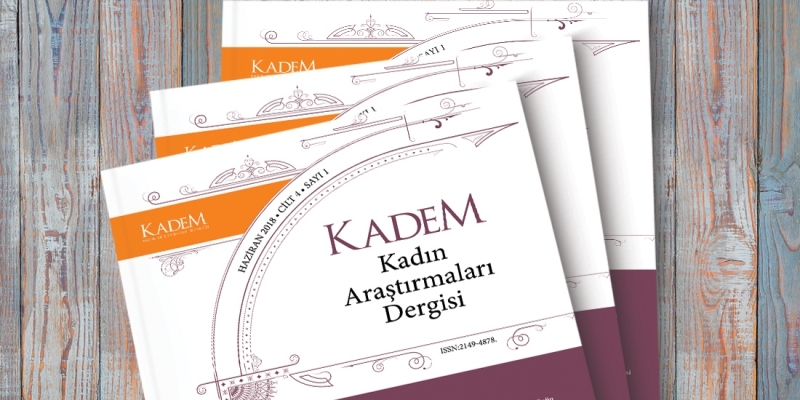 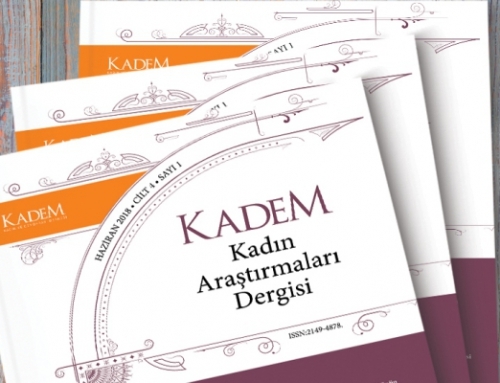 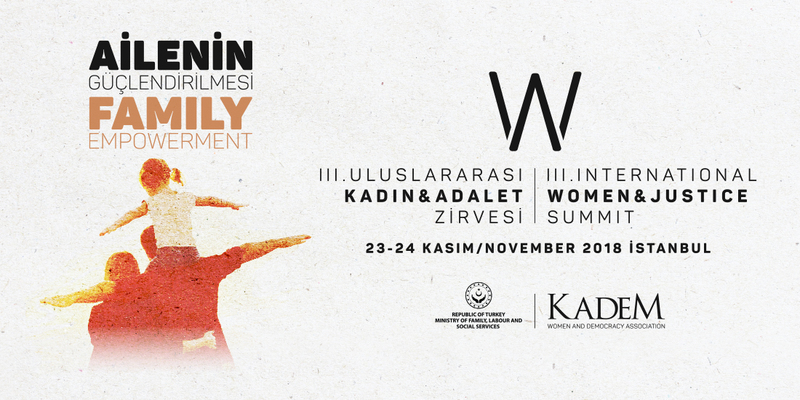 On behalf of KADEM, 2 national runners have raced to say stop violence against women. 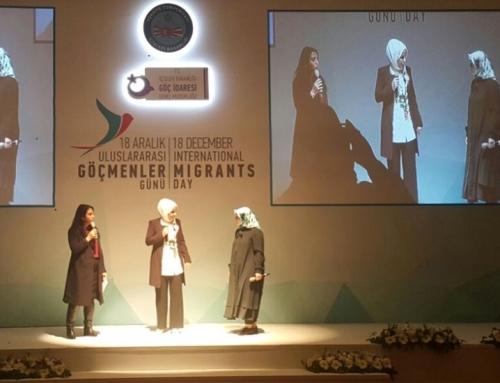 Burcu Büyükbezgin running in 42 kilometers got injured in 30th kilometers. 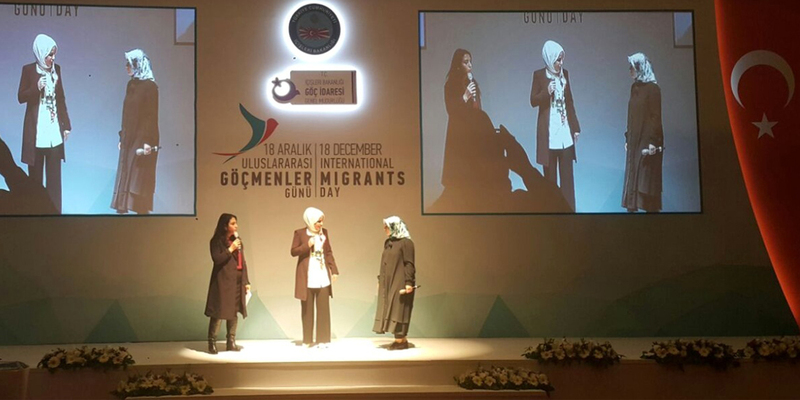 Özlem Kaya running in 15 kilometers for KADEM got sixth place in general, got first place between Turkish runners. 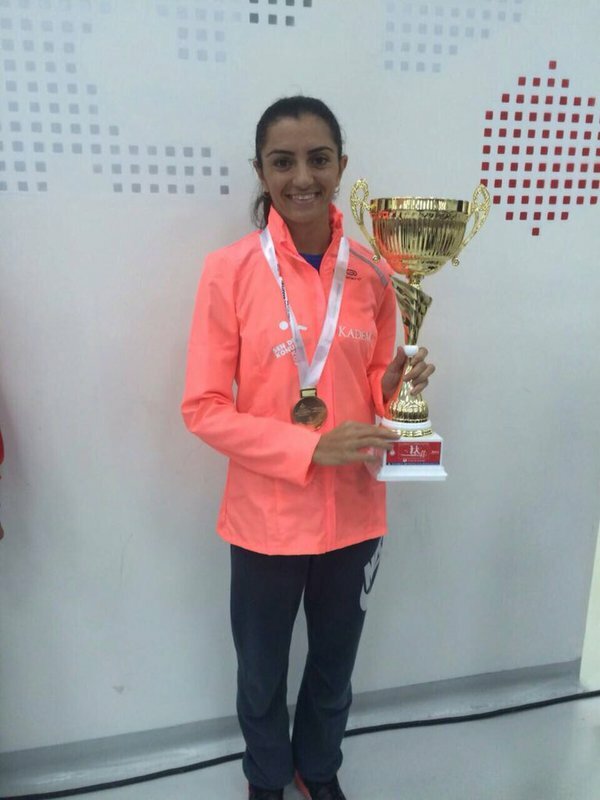 She got her cup at award ceremony organized by Sport Inc.